SIAARTI organization in collaboration with Leonardo Helicopters organized a Congress in Vergiate (Italy). They brought together more than 600 physicians from all over the world. Medicine applied to technology can help the most important aeronautic companies in building, even more, performing aircraft to save patient's life. VERGIATE (Varese, Italy) – Saving lives requires a continuing research, improving solutions and technologies. SIAARTI and Leonardo Helicopters organized the REMOTE congress, and its aim was very clear: gather physicians, medics, EMTs, and nurses involving them in a journey in the HEMS world looking at its future. Too many different air ambulances and too little attention to the healthcare world’s requests. This is the focus: today air ambulances are studied to transport people, and things and every manufacturer adapts shape and type according to its need. An example? 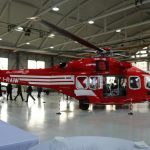 The exposure of a rescue AW189 for HEMS service in Japan, an AW139 of Italian Coast Guard, the new AW169 for Babcock, the little AW119 single-engine and the AW609 for special rescue, inside Leonardo’s hangar in Vergiate. In the exterior part, the scene was kept by the HH139 for Italian Airforce, with the presence of an NH-90 of Italian Army, used for out-of-hospital rescue in tactical fields. When will we arrive to realize an aircraft thought for HEMS and not an air ambulance thought to be an aircraft? Italian Army, medevac with a military structure. 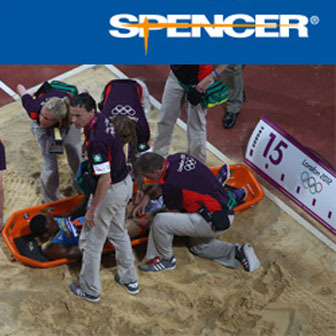 It is a different world in terms of needs and services but also in this field standards are more useful. To make helicopter as mobile Intensive Care Unit that flies to the patient to give the best treatments, aircrafts must be thought in a different way. Maurizio Menarini, director of the Anaesthetic and Resuscitation Department at Maggiore Hospital in Bologna. At this point, Leonardo put its knowledge and projecting ways. 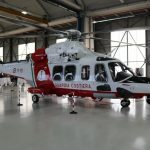 Luca Tonini, Sales Manager for Leonardo Helicopters said: “I thank Gian Piero Cutillo, President of Leonardo Helicopter Division to have believed in this project focused on the alignment with the physicians. We always thought about transportation, but now we are working on a brand-new concept. We involved SIAARTI, AROOI EMAC, CNSAS and the Red Cross of Bologna that is hosting a cabin simulator of the AW169 and not only: it will be soon available in the university of Milan. We will build the air ambulance of the future, it will be suitable for the patients’ needs, common people who have to be saved all over the world with the same care. This is an improvement, but what about the costs? This is an international project with an ambitious goal. Of course, we have to consider the financial and social points of view. How much could be building such advanced and detailed system? How much would this hit economically, the development of this kind of a flying mobile intensive care? Gian Piero Cutillo, MD of Leonardo Helicopter Division. If courage, ambition, and virtue expended in this project will be carried on, we will really have the first medical advanced protocols for the helicopter rescue to apply at an international level.